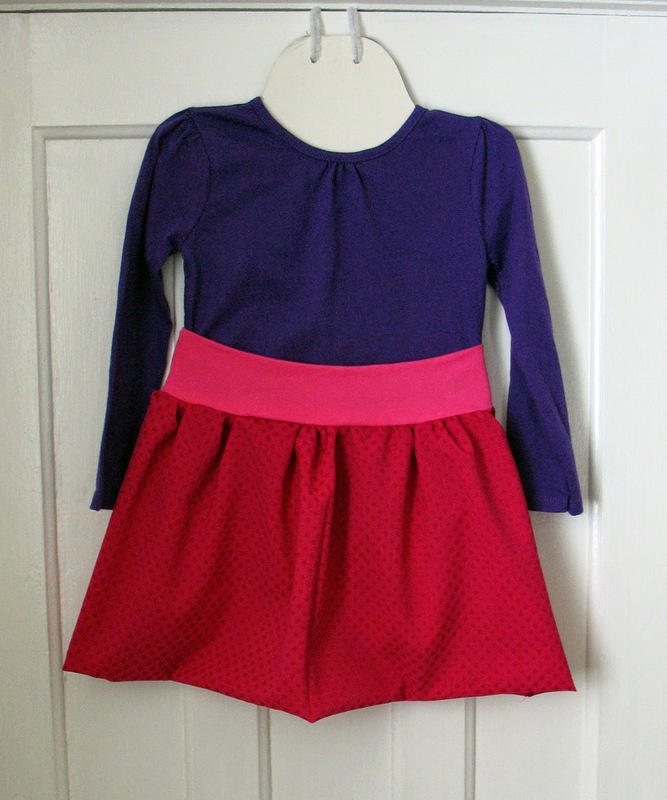 I've really enjoyed the challenge to upcycle and create clothing for kiddos. I decided to turn a scarf I don't wear into a skirt for Ladybug. I used a t-shirt that her mom used to wear for the waistband. The scarf was lightweight so I used a double layer. This made it so that I didn't need to hem the skirt. I love it when I can skip hemming! Thanks! I think it should be pretty comfy. I'm excited to try more upcycling after last week!